It’s been 50 blissful years since the sci-fi geniuses behind Star Trek first teleported audiences into the final frontier. But before you reach for that tissue, we’ve got some exciting news. To commemorate the 50th anniversary of the hit franchise, ZERO-G, a company that specializes in space entertainment is hosting a special celebration in which you can fly with the one and only, George Takei. Be real, you haven’t been this excited since you were wearing footed pajamas. 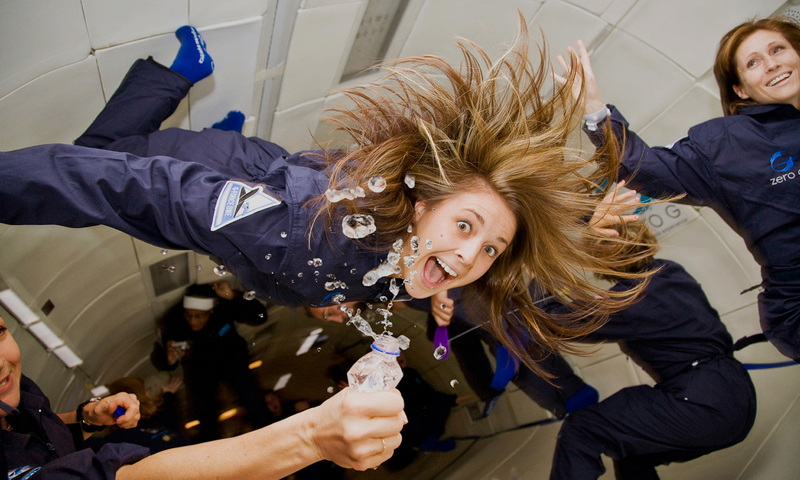 On a ZERO-G flight, you’ll finally experience true weightlessness. Better known as Hikaru Sulu in some circles, the actor will accompany 20 guests onto a modified Boeing 727 that uses parabolic arcs (whatever those are) to simulate the effects of floating through space. In other words: you go up, and then down and then you float. Sounds like a great time to open that pack of Skittles just to see what happens. This is probably as close as you’ll ever get to actually flying on the USS Enterprise with a Star Trek crewmember, so you may want to take advantage of the offer while you can. That is, if you can afford it. Each of the seats will set you back $6,500 plus a 5 percent tax that includes a meet and greet with Georgy, a flight suit, a certificate of completion, photos, a video and bragging rights for life. That’s chump change for a true die-hard fan, right? OK maybe not, but this is definitely a once-in-a-lifetime kind of thing. The flight launches on August 4, so you’ve got plenty of time to start saving your pennies. Check out more Vegas attractions. ← Previous Post: 20 years of EDC. Here’s to 20 more.